Berry, SO sorry to hear of your challenges. Keep the faith, girl - things will look up. I understand your obsessions; I share them. My eyes aren't good enough to sew anymore, but I still read voraciously. I used to work in a fabric store, and still have boxes of yard goods, projects to start, projects to finish... And boxes of books that I never even unpacked when I moved. Now I have a Kindle, and I can read (with a larger font!) to my heart's content without it taking up any more space. Some good has come from technology! I won't be sorry to see 2016 go, except for the fact that it means everyone I know and love will be a year older. No specific resolutions for me, I just go one day at a time. I have a new part-time job (quite stressful) & DH lost his job Dec. 29th. So at the very least, there will be NEW challenges in the coming year... But that's how trees put down roots--when the wind is blowing! I am not calling it a resolution because then it is doomed, but I plan to start weeding through things and being more hard hearted about keeping everything! I also need to keep unloading a wide accumulation of "stuff". 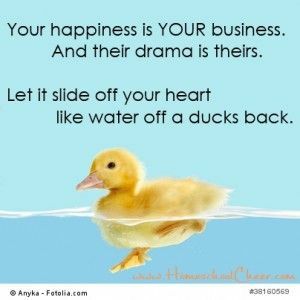 -- I heard just recently, a gal made the statement: "If it doesn't bring you JOY now, express thanks & appreciation for when it did--and then let it go!" It's a helpful thought to evaluate things by. We have a relatively small, old ranch-style house. There just isn't room to have what we have... Oh, I forgot to say that DH is loathe to get rid of anything because "he might need it some day!?" Berry, I always worry I'm saving too much stuff, then I hear about a true 'hoarder' like that and I feel better! I do, however, feel the need to go throw stuff out - right now!! Hope everyone had a lovely Christmas, and are looking forward to a new year. I've been working over the past two days for a neighbor. It's a CRAZY situation where a couple are attempting to buy a house from a hoarder. -- She already has a condo that she's been living in for the past 10 months. It also is now filled to overflowing! -- They've packed & moved out 3 u-haul truck loads into TWO different storage units. The lady is 74 and may never see the inside of the storage units. It will take at least 2 more truck loads before the house may "clear" for the appraiser / loan officer, ETC. Time for a shower & bed! Sis, who always hosts Christmas, put me in charge of cookies, as always. And since we are having a new guest, my niece's step-MIL, she wants the fancy ones. Fortunately, there's really only one I can't resist eating, so if I'm careful, I should be okay. What will be trickier is fitting my workouts in this week. I laws coming to our home for Christmas. I am planning what to have that I will enjoy. Hubby keeps,putting in to cook the foods his mom always does but I want my own thing. I will have desserts and sweets in the house which is something we do not do for ourselves. I can resist them so that is no danger to me. I am making brownies and cutting them into half squares which if I snag one it will not be that much. I am having salads, fruit salads, fresh veggies rather than casseroles, etc. I'm making chicken in the slow cooker tonight--I had seen a recipe online that I wanted to try but of course, now I can't find it!! Well, it is bitter cold out (the high yesterday was 16! ), but at least the sun came out a little bit. All things are possible in the sunshine! At least the snow is light and fluffy when it is this cold. Barbara, layers are the way to go! Good luck packing. Berry, as a matter of fact, soup is definitely on the menu!! Hot, lovely soup. In a mug, so you can warm up your hands along with your insides. Jumpup, the amount of exercise from shoveling snow should make you a shadow of yourself!! My daughter just emailed us that it is so cold in Seattle that we need to really bring the warmest clothes we have!! Living here for so many years, I don't have a lot that qualifies, and that I can get into my carryon, but I will plan on layers. Maybe you could make some sort of soup from various veggies?! -- I picked up a large ham a few days ago. Thinking split pea soup is on the menu for tonight. Be careful with your snow workout! Berry, good for your son (?)! The sooner they start eating right, the better. As for me, let the snow shoveling workouts begin!! Not only did it go down to 12 last night, it snowed - and that's not a normal combination. I am not looking forward to going out there, but I didn't get to grocery store yesterday, and there's not a lot of food in the fridge. Sigh, we pay for our mistakes. I have a 21 yr old who is beginning to take his food intake "seriously" and really pay attention to using food as nutrition! My chiropractor suggested I do some work w/ exercise bands at home. Good for you! My daughter and her family are also very healthy eaters, and they get exercise, so I am feeling comfortable about the holiday there. Meanwhile, I have skipped the gym twice this week, because I just could not get my body moving. I am going twice before I leave though so I hope that will help me!! Jumpup, it is cold here and for Southern California that means 60 degrees! I just got back last night from a 2 week trip to Arizona. Spent time with my DD, SIL and 2 beautiful grandchildren that I only get to see about once a year. They are the best. The girl is 4 and the boy is 7. I got up and down off the floor many many times during my visit, and, what do you know, it got easier to do! Note to self: the floor can be your friend! They are very healthy eaters, so I feel good about my intake. Haven't gotten on the scale yet, but I don't expect any surprises. I did come home to cold and snow, and I am already missing the weather, sigh. Off to pick up the cats from my friend who kept them for me. hah--I am far from a hoarder but it is hard to get rid of stuff! Lucky neighbor to have you to help! I went to a holiday brunch for the Friends of the Library. I have never gone to one before because I feel guilty that I offer such minimal help. It was very nice to meet the library staff, which was the main reason I went today. Lunch was so good--they got food from a local bbq restaurant and I am happy to say that I ate very reasonably despite how good it was. Hopefully, I will find a way to be more help ful this year to the organization. Those colds tend to really hit hard this time of year... It's gone through our whole house now. -- As a substitute teacher, I get exposed to "new" germs most every day. I worked hard w/ immune system "boosters" to hold them at bay, but succumbed Dec. 3rd. Since I haven't been called in today, I may walk over & attempt to assist a neighbor who has sold her house & needs to get things packed & moved. HOWEVER she is a hoarder & can't seem to cut loose of anything! Not sure how much help I will be!??! Berry, love your picture, that is so true. As I have gotten older I have learned to do this. I am just getting over a terrible cold, I did nothing this weekend and stayed home from work yesterday. I feel better today but the cough is still bad. After a bunch of dr office procedures Friday afternoon for my eye, at least my blood pressure reading was the best it's been in MONTHS! Working on how I'm thinking...it seems to really affect whether stress gets to the "inside" or stays more outward. Wishing to be more like a duck...! I forgot to put the sticky on this! Struggling to try to reverse the weight gain!! Right now, I am just trying to not gain anymore. I have had some celebrations lately and, even if I chose wisely, the calories will get me. Whiteangel, that is the trick once you lose, not allowing those pounds to creep back up. Changing the habits of a lifetime is not easy and the old habits are always in the wings trying to slip you up. I grew up with a pretty typical midwestern/southern diet. Fried chicken for Sunday dinner, lots of gravy, bacon fat on the stove cause you save it! And pie, I do love pie. Berry, I agree, you must heal inside too. You have to figure out what drives you and work on that. Hey Frannie, I "like" your thinking. From your weight ticker, looks like we are close to being similar in target & current standing. -- I'm finding I have to find ways to heal the insides before the "fat" will be willing to shrink/leave. Such a process. -- Wish I had known more about the fall-out from poor ways of managing lots of stress. May you find pleasant days in the midst of craziness here in the month of December! December already, I am still adjusting to the idea that it is 2016! Barbara, the more we work at it the less likely we are to gain more. That is where I am at now, I do try to lose, my Dr wants me to but I definitely don't want to gain! Wow, it's already 12/3. Time got away from me again! Meanwhile, I am still struggling with weight gained the last couple of years and, even though I have to have any luck at losing it, I keep trying. I don't like the alternative at all!